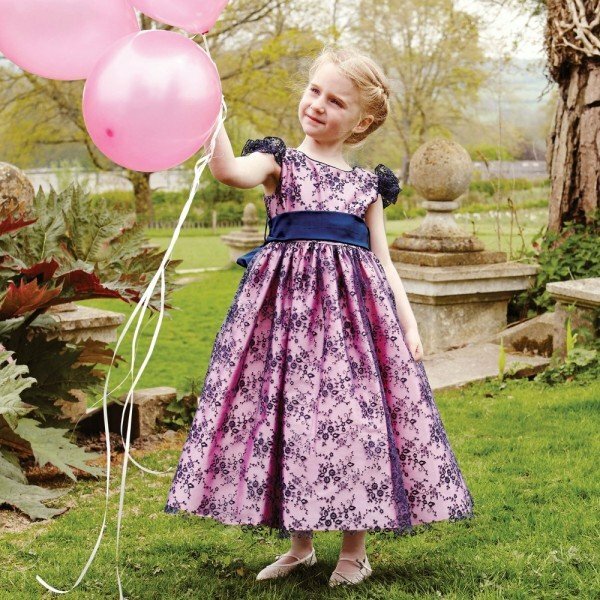 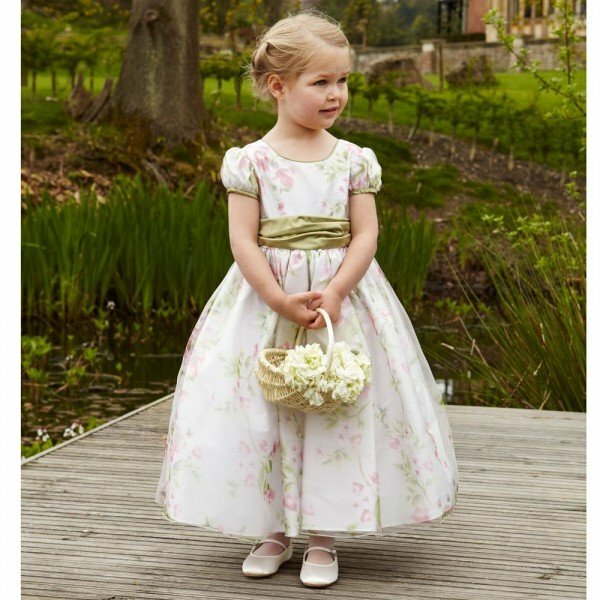 Love this fresh Pink floral girls dress by UK special occasion dress designer Nicki Macfarlane. 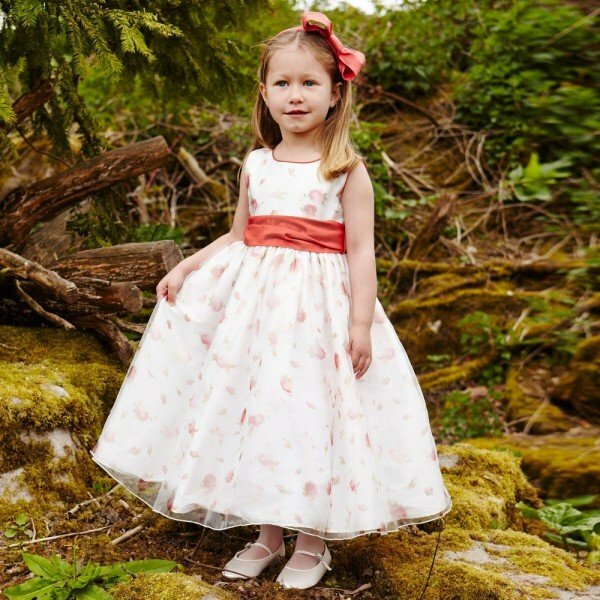 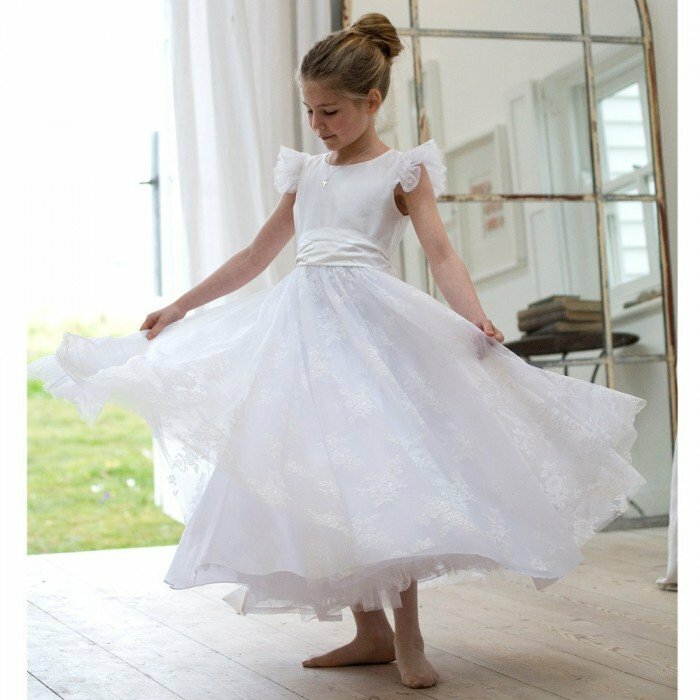 She'll look stunning in this pretty and feminine Rosebud design in ballerina length designed with fine organza overlay has a delicate rosebud print, with satin and tulle underskirts, and big beautiful red bow. 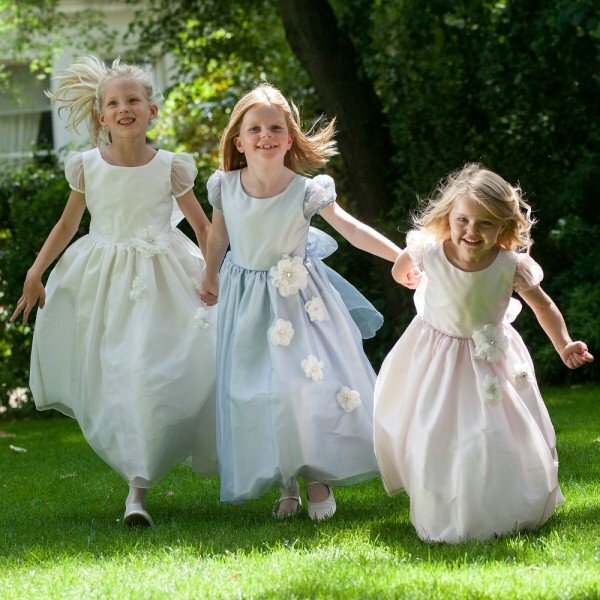 Designed Nicki Macfarlane, creator of the elegant dresses worn by the bridesmaids at the Royal Wedding of HRH The Duke and Duchess of Cambridge.